When you are a college student, thinking about the real world is quite intimidating. 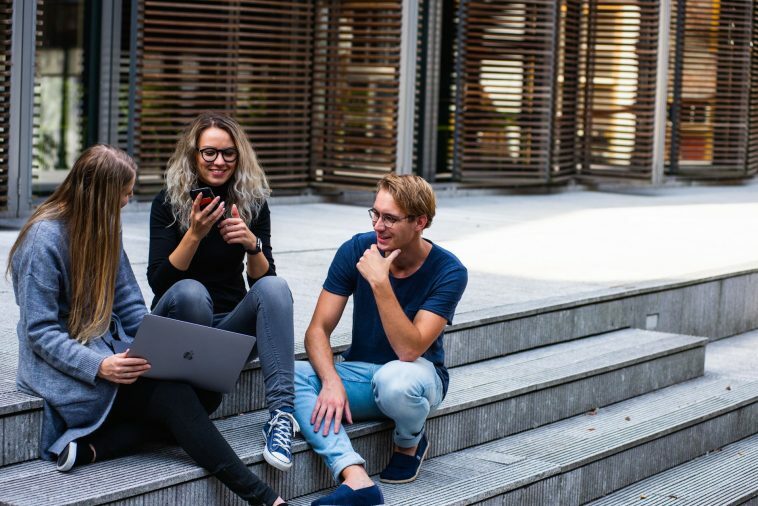 In preparation for a career, the students fear the most is networking and are usually shy in connecting with other people. As a student, the connections you make in college are instrumental for your post-grad life, including starting your own business. Following are the few college networking benefits you only realize when you step in practical life but those who can understand the importance of networking while they are still in college are better destined to take advantage of networking benefits and become successful in the future. Let’s take a look at 7 College Networking Benefits for a successful future. As a college student, it is easier for you to stay among people who have similar interests as yours. But this keeps you in a bubble because you always have someone to connect with by staying in your comfort zone. At this point, you need to widen your gaze and have to meet people who have interests that are completely different than yours but make sure you are smart enough to identify between people with different interest and boring people. Most college students consider networking events as a gathering where everyone is in a tie and suit. But networking does not necessarily mean formal events; these are more about informal events so that you get to know the real people. So, attend the networking events that happen around you because it is a chance to meet new people and build professional relationships when you are still a student. You need to be aware of what kind of people you are in contact with and for this purpose, you need to do research. Research is necessary to help you to find out what educational opportunities are best and knowing about the people you have never met before. People consider social media as the only way to connect to friends. But basically, social media can be used for forging business as well as making professional connections. You can use Twitter for interacting with the business or even for keeping up with your work. Here is how I upscaled my social media presence in 7 proven ways. When you are a student, it feels safe to sit quietly and do your work. But instead, if you ask questions and take part in debates, you will get a chance to be noticed by the people around you. Join the groups of your interests and try to be involved in the campus itself. You can become aware of the job prospects of your field by talking to people who have recently graduated. You will get to know how well you can use your degree and what jobs you can find your degree useful for. It will also help you to make new connections which will a lot of help when you yourself will graduate. An internship is really helpful if you want to pursue a particular field. It may be difficult as a student because most internships do not pay but it can provide you will a lot of experience in the field you are interested. It can help you to see if the career path you are thinking of choosing is actually meant for you or not.